A leader in manufacturing and servicing rotary kilns, A-C Equipment Services Corporation provides parts, construction services, technical assistance, and engineering services for companies in the cement, pulp and paper, chemical, and other industries. 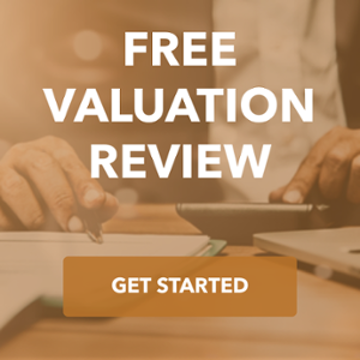 The TKO Miller team was engaged by A-C Equipment's shareholders to facilitate a sale of the company that would maximize value, provide continuity for on-going operations, and create an exit plan for certain shareholders to transition out of the business in a reasonable timeframe. We developed a strategy and contacted a range of prospective buyers with the ability to meet the sellers' needs. 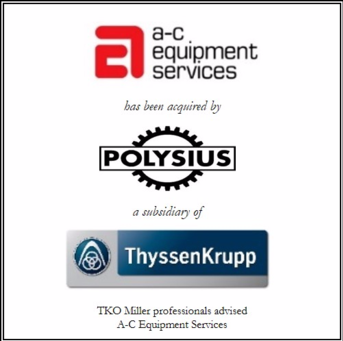 The TKO Miller team is pleased to announce that A-C Equipment was purchased by Polysius, a subsidiary of ThyssenKrupp Technologies and a leading engineering company supplying the cement and minerals industries.